We all love the game called Angry Birds (whose main characters are already drawn by our artists). 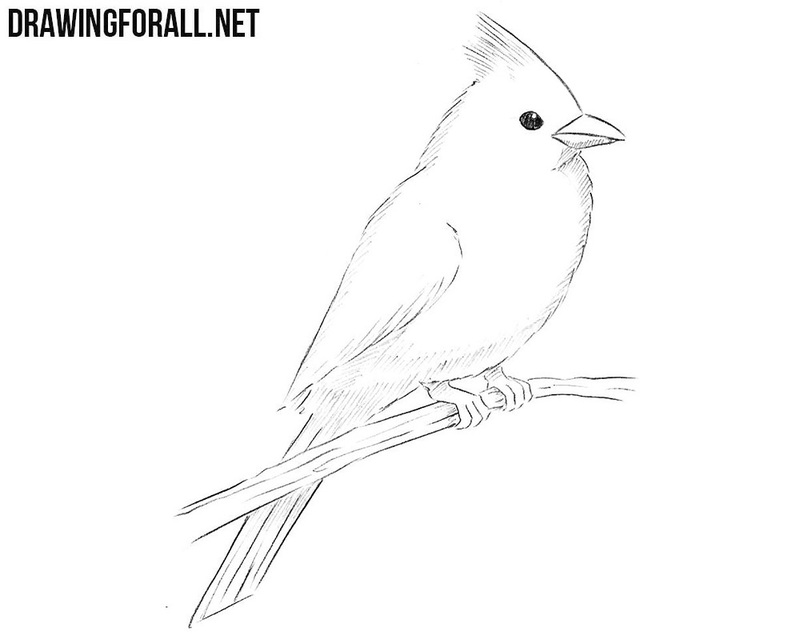 Today we decided to make a lesson on how to draw a northern cardinal, a bird that suspiciously similar the main character of this game. 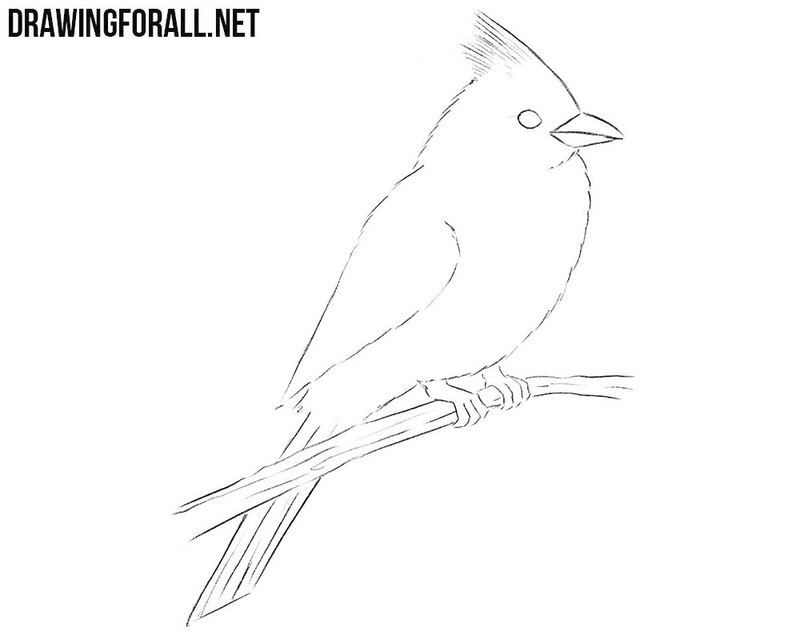 Our northern cardinal is very similar to a sparrow, and it is drawn similarly. 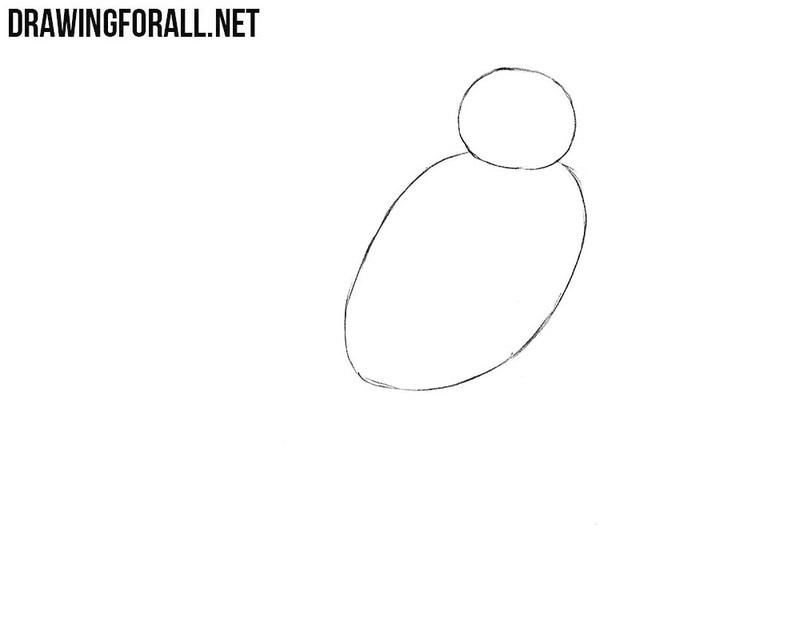 First draw a circle for the head and a cylinder for the torso. 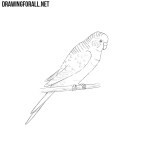 Now draw a beak, tuft on the head, a wing, a long tail and short legs. Do not forget the branch on which our bird sits. Using smooth lines we connect the shapes from the steps one and two and draw the circle eye. 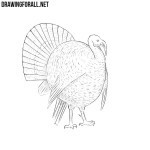 Make the tail, legs and branch thicker. 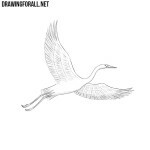 Now our drawing is more like a bird, is not it? Now let’s take an eraser and carefully remove all the unnecessary guidelines. 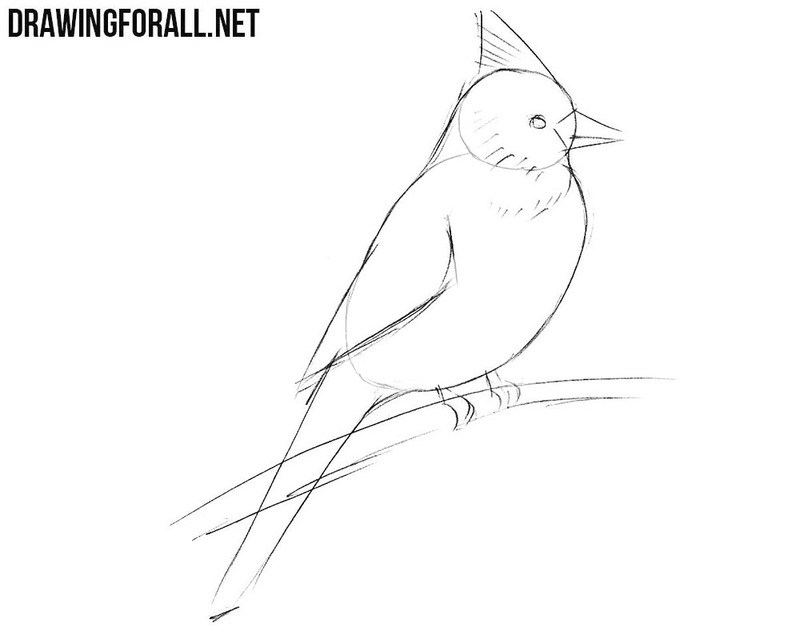 Next make all the lines of the northern cardinal drawing more dark and smooth. 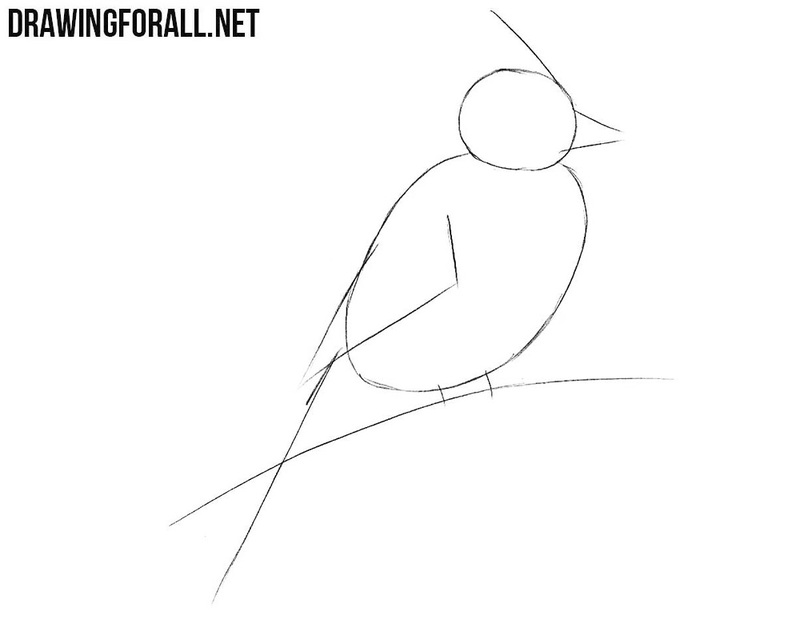 We start hatching using short and dense strokes. 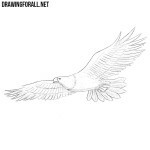 By the way, do not forget to paint out the bird’s eye and leave a white glare. What is your favorite lesson on our site? Write this in the comments to this article. Be sure to find us on social networks and subscribe, this will help us to evolve and create even more cool lessons. Thank. 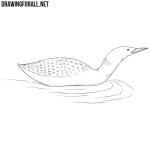 It also seems to us that this is a very beautiful bird.